Facebook has been given the go ahead to start building its swish new Menlo Park campus extension. The city’s mayor, Peter Ohtaki, gave the social networking giant the good news Tuesday night. According to the Mercury News, the decision had no trouble going through, with the council voting four-to-zero in favor of the project. The design of the new 433,555-square-foot Facebook campus, which was first shown off last summer, is the work of internationally acclaimed architect Frank Gehry. 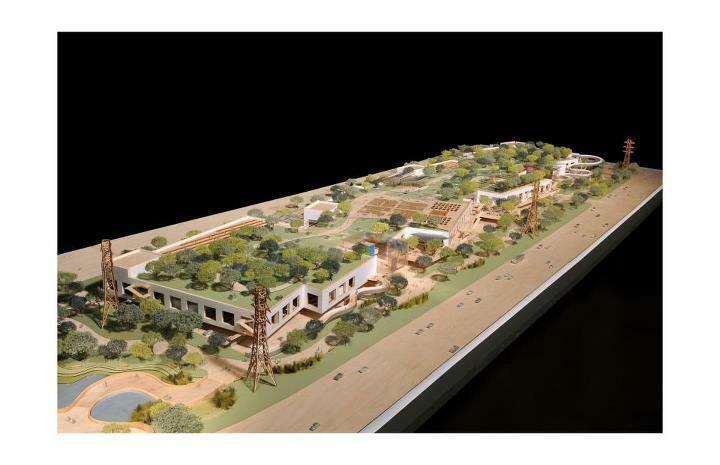 The eco-friendly complex, which is expected to be able to accommodate some 3,400 workers, will cover 22 acres and incorporate an enormous room (making Facebook home to the largest open-plan office on the planet) as well as a rooftop garden. A tunnel will connect the new building to the existing campus. 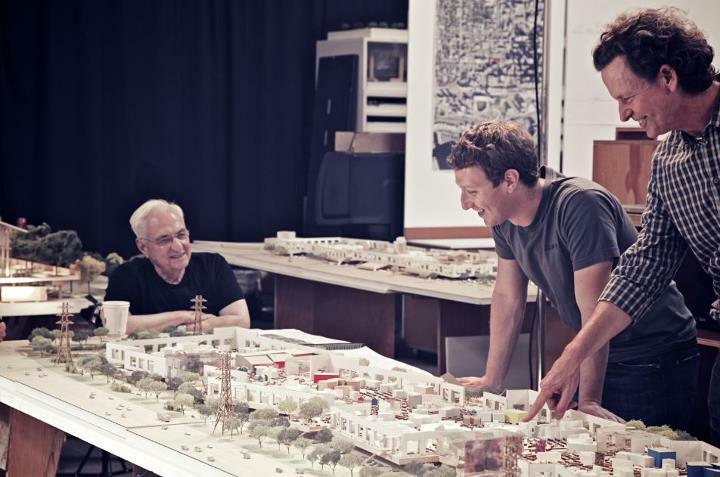 While much of Gehry’s work can be described as anything from ‘striking’ to ‘WTF is that supposed to be?’, Zuckerberg and other Facebook executives requested a low-key look for the new Menlo Park campus, forcing Gehry to tone down some of the early designs he had in mind. “They felt some of those things were too flashy and not in keeping with the kind of the culture of Facebook, so they asked us to make it more anonymous,” Gehry’s creative partner, Craig Webb, told the Mercury News. When it’s complete, much of the building will be concealed by the landscaping and rooftop garden. “Our intent is that it almost becomes like a hillside, with the landscape really taking the forefront,” Webb said. Now that the city council has given Facebook the OK to build its new campus extension, construction workers should be arriving to break ground in the coming months.